As always i try to make the server a bit nicer. 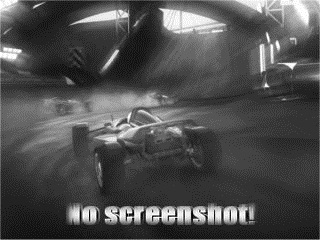 Now i'm trying to get my own NO_SCREENSHOT image instead the gray stadium image. Inside records_eyepiece.xml you can add your own image on line 1182. That works like a charm on tracks which has no connecting too the TMX page. But if you add tracks from TMX without an image. The Challenge Widget where the current Challenge are displayed and the next and last Challenge are accessible. Can i somehow let my own image work instead of the gray stadium image? I know that the image is loaded from TMX with this ID in cache. Is there a way to make this working? Last edited by L3cKy on 01 Apr 2019 21:27, edited 1 time in total. First time it looks like it work. But if i wish an other track without image from TMX. The gray stadium no screenshot image. Also did one try with clean cache. Oh you are right ... i've done a misstake. Anyway something is wrong at records_eyepiece.php ... somehow it returns the no-schreenshot picture from tmx instead of the seted one at the xml. Now the pictures are at least the same. I will check more if i have more time. Ok i checked it now ... it is not possible to change this. If there is no custom picture uploaded on tm-exchange it will return this picture to tmxinfofetcher.inc.php and records_eyepiece.php will get it from there. This picture shows up on tm-exchange if noone uploaded a custom picture. If someone uploaded a custom picture on tm-exchange the url (ALSO attribute screentyp=0) wont change and will be still the same as noone uploaded a picture and thats why you cant change this because tm-exchange will everytime give back the screentype=0 as standard track picture and records_eyepiece dont know the difference between a custom picture and a no-screenshot picture. Doublecheck: This picture is the same as this picture. PS: I`ve tried now to trick this with a filesize check ... because the no-screenshot from tm-exchange have everytime the same filesize. So if the filesize from the track picture have the same filesize as the no-screenshot picture it will be replaced by a new one. I will response when it is finished or when i failed on this. I'm curious if you can find something. The picture with the id: 9607889ED61767ECC8119412A716EBB6_ is the picture which gets back from tm-exchange to tmxinfofetcher.inc.php and get saved into your Cache. I want to check the picture inside tmxinfofetcher.inc.php if it have the same filesize as the no-screenshot picture from tm-exchange so i can replace it with a custom one. I tryd now everything but it seems to not work the way you want it.